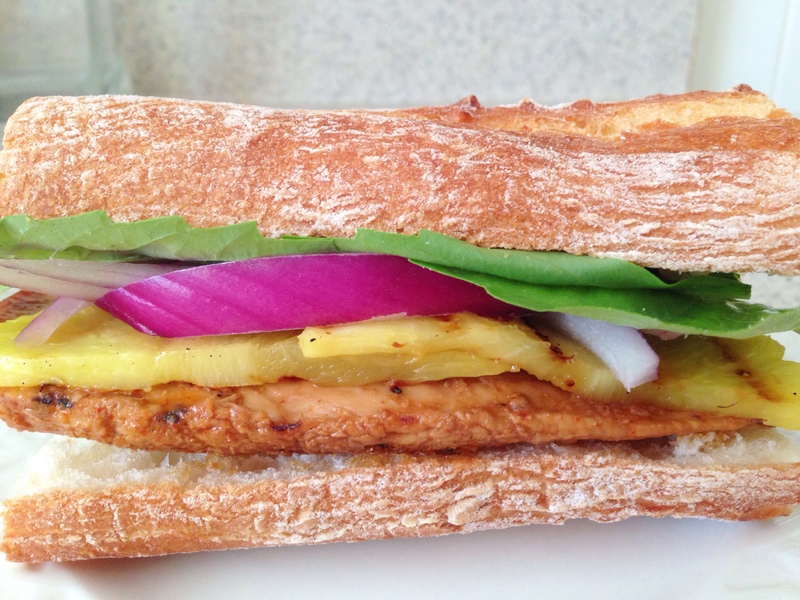 This sweet and spicy grilled chicken sandwich with pineapple and basil is made for a summer picnic. The sweet and spicy marinade is perfectly complemented by slices of grilled pineapple, fresh sweet basil leaves and a slice of red onion. 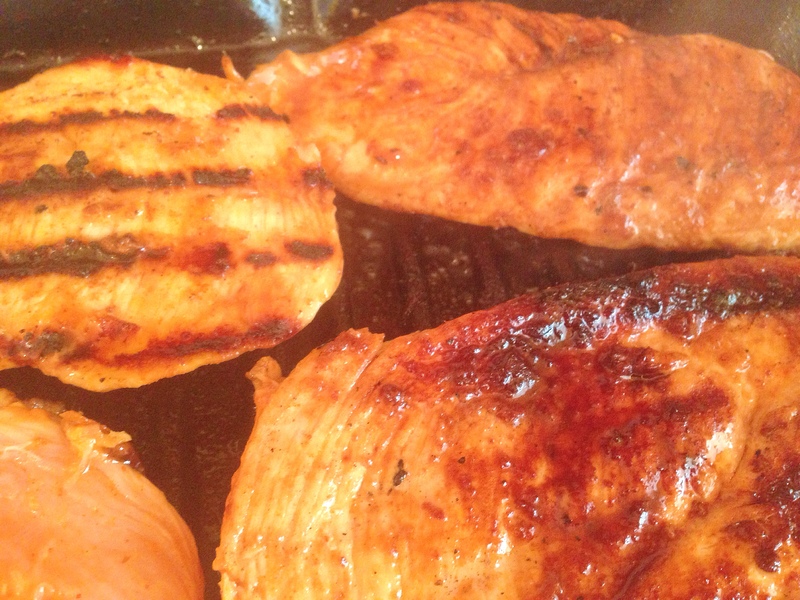 It’s great served at room temperature so you can grill the chicken early in the day and have it on a sandwich later on. 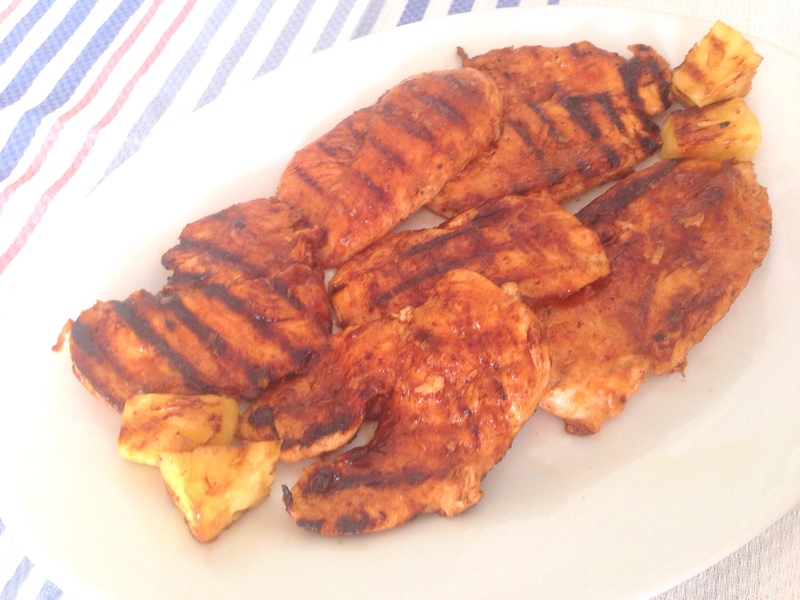 To make the sandwich, make the sweet and spicy grilled chicken recipe and grill the pineapple along with it. The basil leaves are the real twist to this sandwich, adding a great sweetness that balances the heat of the cayenne pepper and adding a great flavoring agent to the pineapple. Red onion rounds out the flavor with a bit of crunch and bite. To assemble the sandwich: Make chicken. 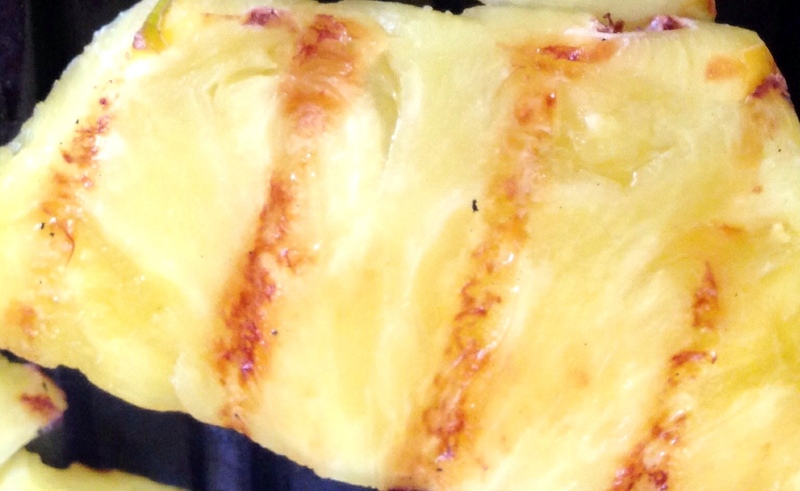 Slice 1/2 pineapple in half lengthwise and in thin half moon pieces (if core is hard cut on edge of core or cut core out of half moon pieces) and grill 3 minutes on each side. Slice 2 sweet baguettes lengthwise. Place chicken brushed with reserved marinade on bottom of baguette. Cut chicken to fit bread as needed. 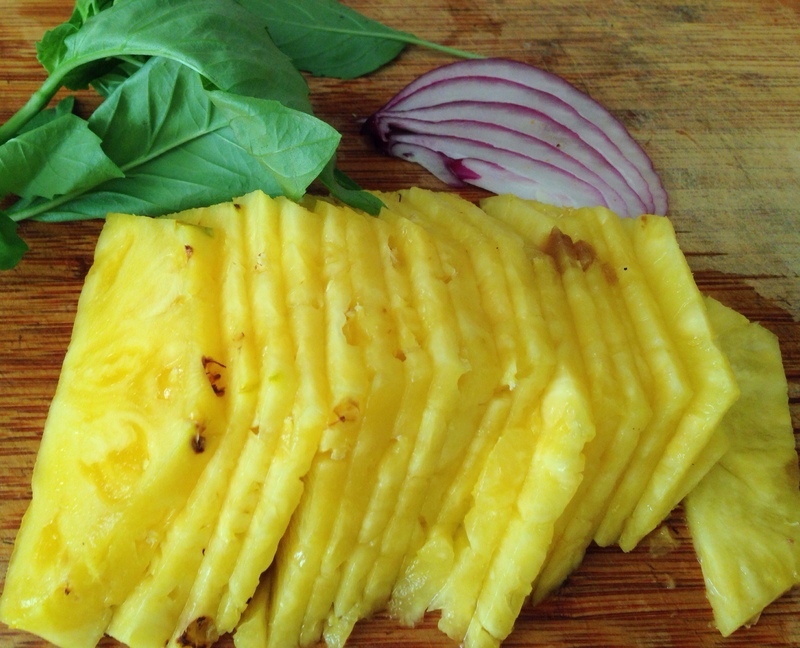 Layer the pieces of grilled pineapple on top, followed by a slices of red onion and topped with enough basil leaves to cover the chicken. Add the top piece of the baguettes and cut baguettes into quarters. 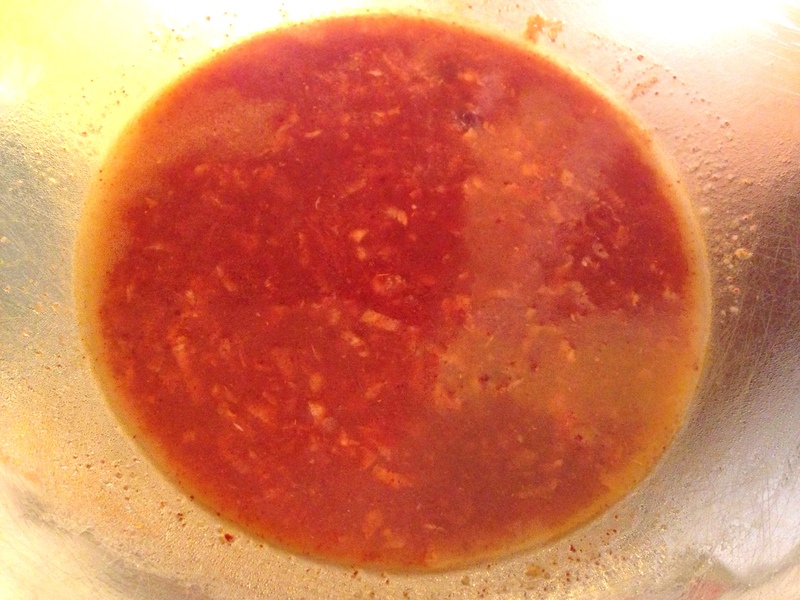 If you have left over marinade, you can brush it on the bread, but with the chicken and pineapple, you don’t need it as the sandwich is plenty moist. 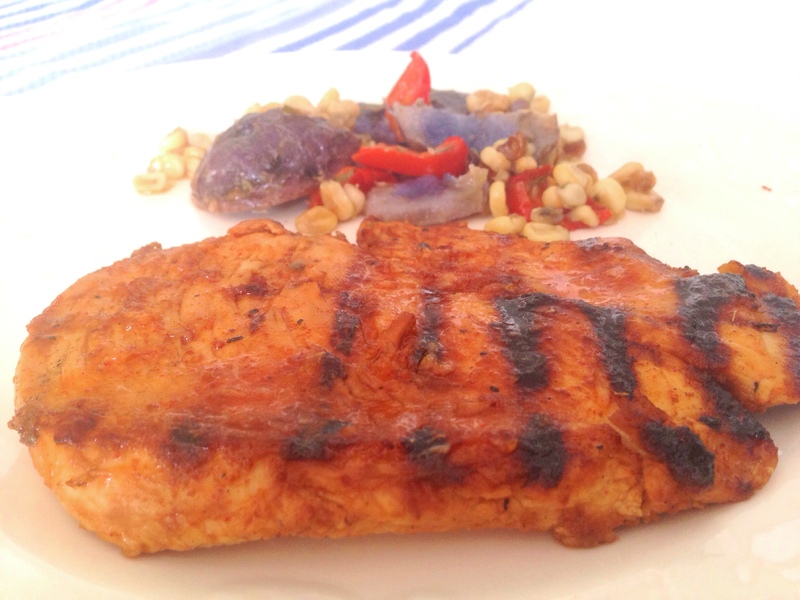 This entry was posted in Blog, Recipes and tagged basil leaves, grilled chicken, grilled pineapple, sandwich on June 30, 2014 by Leslie.